After hearing about this book for months (maybe even years), I picked it up just after Christmas thinking that it would be a fast read to counter the other heavier things I was reading at the time. But seeing as how it is now May, it didn't prove to be so fast after all. This had nothing to do with my enjoyment level of the book. It was just the thing that was most easily sacrificed anytime other reading or projects clamored for my attention. In fact, I would have preferred to read it at a much faster pace. It's that kind of book. When Cassandra's grandmother, Nell, passes away, she leaves behind an unfinished mystery. As a little girl, Nell was found alone on the docks at Maryborough, Australia. She had arrived on a ship from England, but as far as anyone could tell, no one came with her. One of the dock workers, Hugh, found her. She wouldn't say her name, and her luggage didn't provide any clues to her identity, so he took her home with him. He and his wife, Lil, fell in love with the small child. Up to that point, they had been unable to have any children of their own, and so they "adopted" the child. On Nell's twenty-first birthday, Hugh decided it was time to tell her what he knew about her past. The revelation devastated Nell and completely transformed her. Who was she really? Why had her family abandoned her? Why had she ended up in Australia? These questions consume her for the rest of her life, and over time, she fits together some of the pieces of her past. However, at the time of her passing, there are still unanswered questions, and it is up to Cassandra (who was always very close to her grandma) to find out what Nell so desperately wanted to know. But once I had all the characters firmly fixed in my head, the pace really picked up, and I enjoyed trying to figure out all the details. I was so impressed with the pacing: three story lines, all being told in conjunction with each other, and each one giving just a little here and a little there so that it wasn't any one of them that solved the mystery for the reader, but they all worked together to make it all happen. I also loved the little nods to Frances Hodgson Burnett's, The Secret Garden. The beloved author even makes a little appearance at a garden party, which is delightful. My one problem with the book was the final revelation . . . the final twist, if you will. I had already guessed that something of that nature was going to happen. But it bothered me for two reasons: first, there were a couple of scenes earlier in the book that seemed false based on later revelations (personal thoughts of some of the main characters, etc.). Of course, I realize they were purposely misleading to make it more difficult for the reader to guess the truth about Nell's past, but still, it seemed a bit untrue, which made the ultimate revelation not as impressive. Second, I was disappointed with the nature of the final discovery. I suppose it could be considered noble or selfless or an act of true friendship. But since I read Jane Eyre at the same time, I just couldn't reconcile giving up your virtue for another human being, no matter how innocent and sincere the desire. Jane didn't go back on her personal convictions, even when she knew how deeply it would hurt Mr. Rochester. And neither should a certain unnamed individual (because I'm trying to be vague and not spoil anything) have given up a part of herself. In my opinion. I also thought some of the secondary plots (the volatile relationship between Cassandra and her mother or Cassandra's grief over the tragic death of her husband and young son) could have been more developed and more fully reconciled by the end. 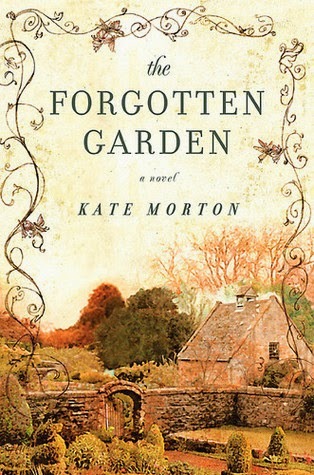 Overall though, I really enjoyed Kate Morton's writing style and the way she set up and developed such an intricate plot. I will definitely read more of her books. I keep meaning to try this. Thanks for your thoughts on it. I agree with your review. The plot twist in this book was...odd. This is my least favorite of Morton's books. I loved this one, but honestly I'm not sure I would have enjoyed it as much if I'd read it side-by-side with Jane Eyre. You make such a great point about giving up part of yourself for another person. I do love Morton's writing style though and I had no expectations heading into it. The Secret Keeper is her best...in my opinion...I liked this one enough...but LOVED The Secret Keeper!! It's been awhile, so I honestly can't remember about the language (I'm sure there was at least a little), but there is some sexual content. Because of that, I know you will hate the ending, and I don't think I would have read it if I'd known what was going to happen at the end.